Continuing with The Life of a Saint series for young people, Therese: The Little Flower of Lisieux tells the story of Saint Therese of Lisieux, France, the young Carmelite nun known as the Little Flower and declared a Doctor of the Church by Pope John Paul II. Raised in a loving and devout family, Therese heard the calling to religious life at an early age. She was sensitive by nature, and her tremendous confidence in the love of God was the secret to her joy and perseverance. With sanctity and wisdom beyond her years, she wrote the spiritual classic Story of a Soul before dying of tuberculosis in 1897. Illustrated on every page with bright, four-color pictures, this life of Therese can be read independently by young readers, or read aloud to small children. Because of her childlike trust and simplicity, Therese is an ideal role model for young people. 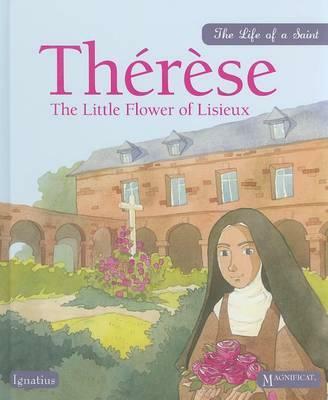 Continuing with The Life of a Saint series for young people, Th r se: The Little Flower of Lisieux tells the story of Saint Th r se of Lisieux, France, the young Carmelite nun known as the Little Flower and declared a Doctor of the Church by Pope John Paul II. Raised in a loving and devout family, Th r se heard the calling to religious life at an early age. She was sensitive by nature, and her tremendous confidence in the love of God was the secret to her joy and perseverance. With sanctity and wisdom beyond her years, she wrote the spiritual classic Story of a Soul before dying of tuberculosis in 1897. Illustrated on every page with bright, four-color pictures, this life of Th r se can be read independently by young readers, or read aloud to small children. Because of her childlike trust and simplicity, Th r se is an ideal role model for young people.